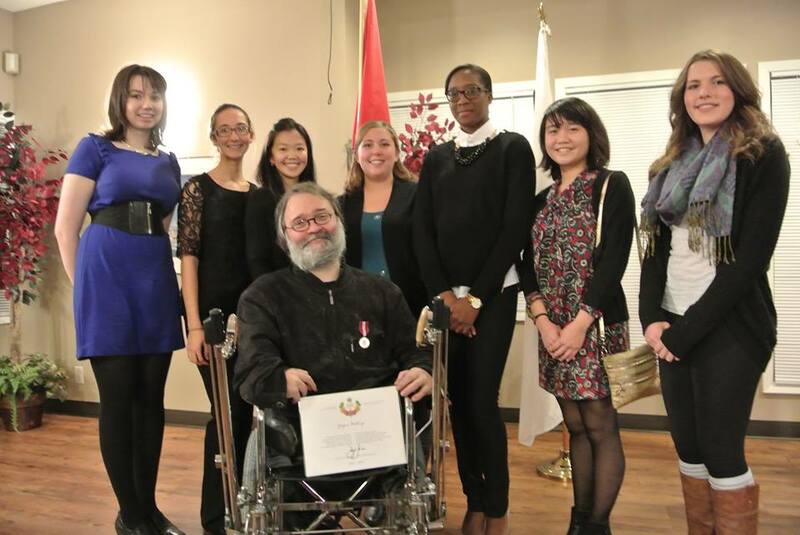 November 11, 2013, Dr. Gregor Wolbring was awarded the Queen Elizabeth II Diamond Jubilee Medal in recognition of his contributions to Canada! The award was created in 2012 to mark the 60th anniversary of Her Majesty Queen Elizabeth II’s accession to the Throne as Queen of Canada. To ensure that a variety of fields of activity were recognized, partner organizations were invited by the Government of Canada to nominate candidates from their community or organization for this national honour. The Diamond Jubilee Medal program closed on February 28, 2013. Once all the information is compiled, a searchable database of all 60,000 recipients and their locations will be available online. This is what Gregor’s new award looks like! Yesterday night I was speechless, today its time to thank many of the people who are responsible for I being who I am. Receiving this award is the results of the action of many people throughout my life that saw beyond the wheelchair and the non-conformity of my body. There are of course first and foremost my parents without their lack of prejudice toward my bodily reality I would never be in the privileged position of income, employment and advanced education I am in today. And indeed I published a piece “Parents without Prejudice” many years ago to pay homage to them. However there are others. In my two high schools these were two teachers Elizabeth Schlipkoeter and Pater Klaus; in my undergraduate degree at University of Tuebingen it was Professor Eisele (I was the first wheelchair person in the biochemistry degree there and it needed some getting used to me ); then there was Professor Rabin at University College London (UK) who allowed me to do my German Diploma thesis work in his laboratory and Valerie and Chris Dadson with whom I stayed for that time and who helped me to navigate London (I cannot express my gratitude sufficiently, my time with them was some of the best times I had in my life!!! ); Nobel Laureate Prof. Hartmut Michel and his group leader Dr. Neil Cook at the Max Plank Institute for Biophysics in Frankfurt who took me as a PhD student after over 100 letters of inquiries with other places in Germany simply were answered negatively mostly claiming they were not accessible and finally there is Prof. Paul Schnetkamp in Calgary who I met when he visited our Lab in Frankfurt and who said he would take me as a Post-Doc and well without him I would not have moved to Canada. And then there are many friends that made and still make life livable. From elementary school, first high school and onwards Johannes Schmitt, Roland Kaemmerer, Christoph Bauer and Franz Wilhelm Koch; my second high school and onwards Richard and Kornelia Schlombs, Alfred Nottlemann, Ralf Tillmann und Tine, Agnes Schwerhoff and Kerstin Wichmann; then University and onwards Thomas Ilg, Gerd Winter, Joerg Hendle and Regina Link and then here in Calgary Robert Szerencsei and Jeff Bjorge. And there are many more who I encountered as part of my advocacy and academic work that became friends too many to list them here (hope you forgive me here). So without all of these people I would not have received the award as I would not be very likely in the privileged position from where I can do the activities that led to the award. Now as to the ceremony yesterday I want to thank Zaheed Damani for the brilliance of how he introduced me to the crowd and to my students who made up the whole first row and who are an inspiration to me (I will post that picture with them soon). So thanks to all the people in my life that made this surprise possible! 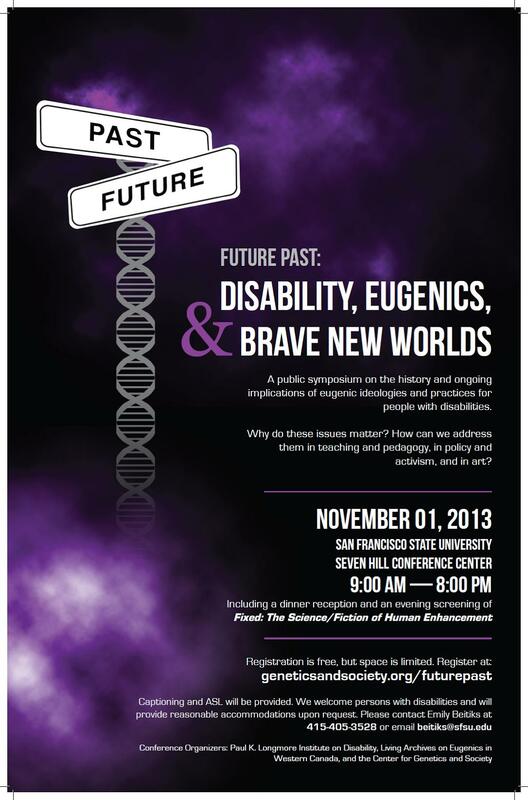 The Living Archives on Eugenics in Western Canada Research Team congratulates Gregor!